In the bookmobile, librarian Minnie Hamilton and her rescue cat, Eddie, roll out great summer books to folks all over the lake town of Chilson, Michigan. And when real-life drama turns deadly, Minnie makes sure justice is never overdue. After disappearing from the hospital, the artist is discovered slumped over the body of a murdered woman. Minnie knows that her new friend didn't commit the crime, but the evidence paints an unflattering picture. 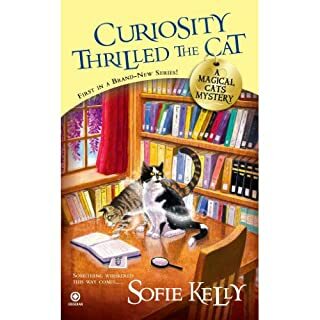 Now this librarian and her furry friend have to put the investigation in high gear and catch the real killer before someone else checks out. 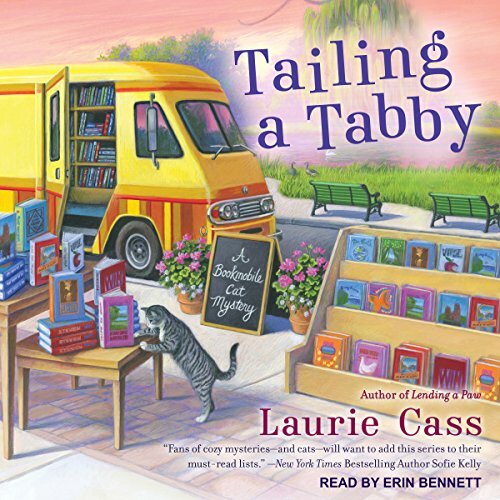 Laurie Cass has crafted an entertaining cozy mystery. Her characters are well developed. Erin Bennett gives a wonderful performance to life. I recommend this book to cozy mystery fans. Wonderful storyline & lovable heroine. Narration seems exceptional. Kinda disconcerting hearing Mackinac pronounced wrong. Many times. But a very talented & knowledgeable effort overall. 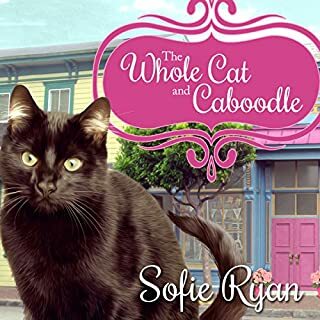 Between the bookmobile, the lovely kitty, her houseboat, and her eccentric aunt, I very much enjoy this series of books. Loved this from beginning to the end. 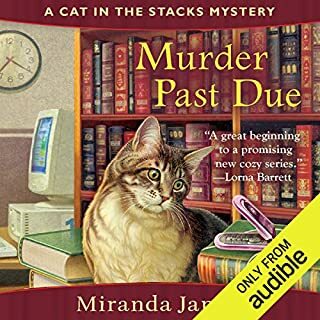 If you are a cat lover and loves mysteries this is for you. Another great ride in the Bookmobile! Minnie Hamilton drives the Bookmobile that is popular among the community in Chilson, Michigan for her bringing along her cat, Eddie, in <strong>Tailing a Tabby</strong> by Laurie Cass. One day as Minnie is driving home, she screeches to a stop when a distraught woman hails her from the road. She helps the woman drag her husband, who is having a stroke, to the Bookmobile and rushes him the half an hour to the closest hospital. Only then does Minnie learn that the man is Russell McCade, a highly famous artist. Visiting him in the hospital a couple days later, Minnie becomes close to Cabe and his wife, Barb. Then, one night two weeks later, Minnie gets a call from a frantic Barb. She wants to know if Minnie can help her find a defense attorney because Cabe has just been arrested for murder. With the help of an acquaintance, Minnie gets the best attorney in the state, who gets the police to release Cabe without charging him. From the hospital, Cabe received a phone call in a muffled voice, saying that Barb has been kidnapped and that Cabe needs to go to a specific location to discuss getting her back. But when he arrives at the house, he finds the body of his one- time model, Carissa Raddle, followed immediately by the police's visit and arrest of Cabe for her murder. Since his reputation as a clean man is so important to Cabe's career, Minnie determines to find out the identity of Carissa's killer. I really enjoyed listening to <strong>Tailing a Tabby</strong>. The plot was stronger than the previous book's, and there were plenty of extra details to add life to the book. 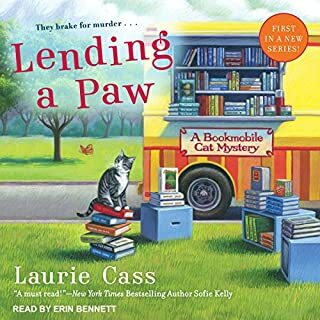 The Bookmobile and its travels throughout the community adds a lot of flavor, especially the presence of Eddie, Minnie's rescue cat who sneaked aboard the Bookmobile the first day Minnie took it out in the previous book. When Minnie tried to keep Eddie at home, everyone begged to see the Bookmobile cat, so Eddie now is popular with everyone and has become a big draw. He seems almost human, seeming to understand everything Minnie says. I enjoyed having plenty of characters to add pleasure to the book or see as suspects. For example, Steven Wrangle creates tension as the aggravating director of the library. He keeps insisting that Minnie get rid of a library patron who spends most of the day in the library and tries to find any excuse to get rid of, or at least cut back on, the Bookmobile's route, which forces Minnie to hide the presence of Eddie on the vehicle. 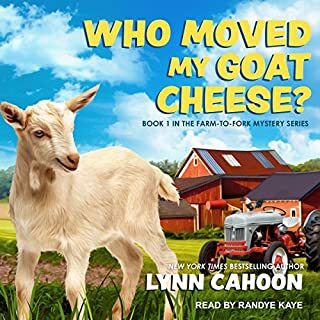 Cade and Barb create a special couple whom you want to get to know, and Barb gets her mother, Ivy, a high energy woman who doesn't even look her 70+ years, to volunteer on the Bookmobile. A group of men hang around the docks where Minnie lives on her house boat, but they get a little confusing to me to tell them all apart. I really like the performance of Erin Bennett in the audio edition of this book. She does an excellent job of making this book come to life. 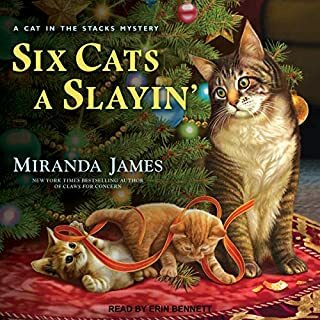 I wouldn't have recognized the narrator of the Cat in the Stacks books if I hadn't known the same woman performed both series. She uses strong expressions and character voices, and as she depicts the various murs of Eddie, she makes him seem all the more real, as he gives highly expressive murs. I had a good experience listening to <strong>Tailing a Tabby</strong>. The book was a great deal of fun, with a strong plot and delightful characters, some of whom are really creative and relatable. I appreciated the audiobook too. I give this book five stars. These are pleasant stories, well read. But, while I understand some occasional mispronunciations, you’d think something as important to the geographical area of the book as Mackinac Island and the bridge would warrant some instruction as to how to pronounce the word, Mackinac. I’m only part way through and wonder how many more times I’m going to have to yell, “Mackinaw” at my car radio. I made a mistake by giving this series a second chance. I didn't finish the 3rd chapter. The book is beyond boring and the characters aren't interesting enough for me to continue. NO MORE!! !